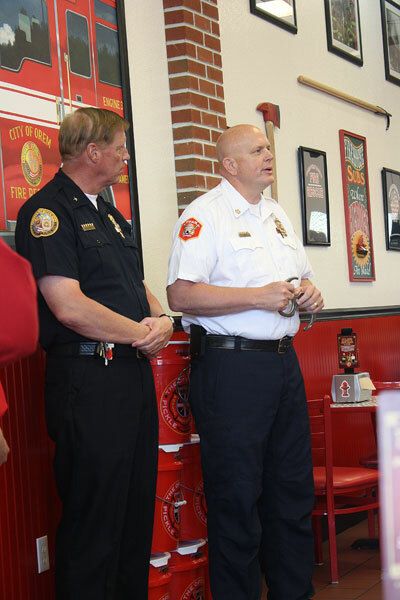 This past Tuesday, I had the unique opportunity to attend a charity event hosted by Firehouse Subs. Before coming here, I just thought that Firehouse Subs was a cute themed sandwich shop next to Yogurtland. 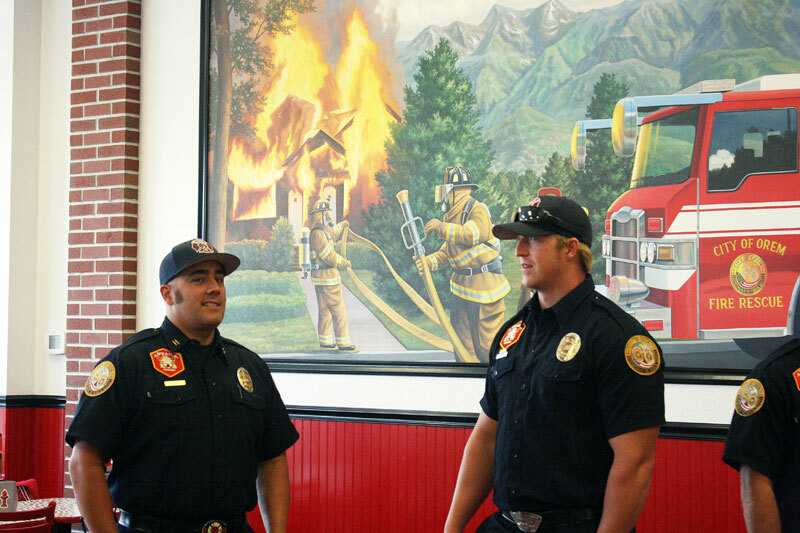 I quickly learned that Firehouse Subs is so much more than that! 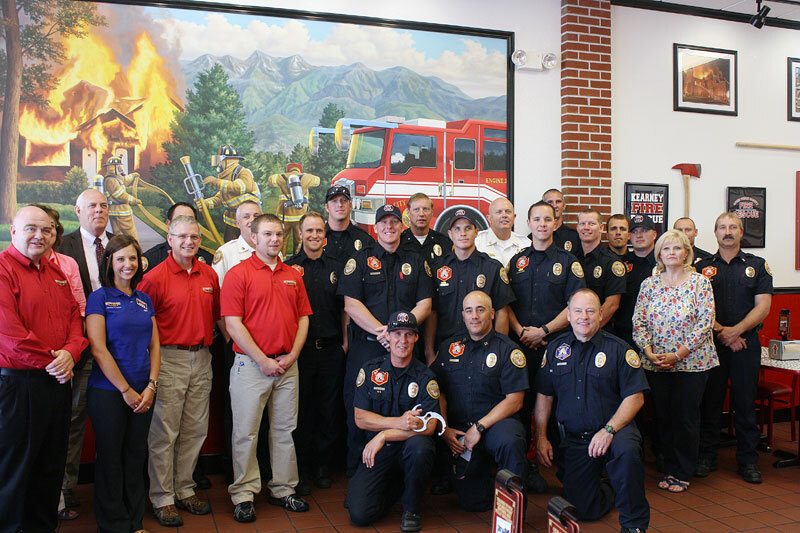 Firehouse Subs was founded in the aftermath of Hurricane Katrina with the goal of not only serving delicious hot sandwiches, but also supporting local fire departments. 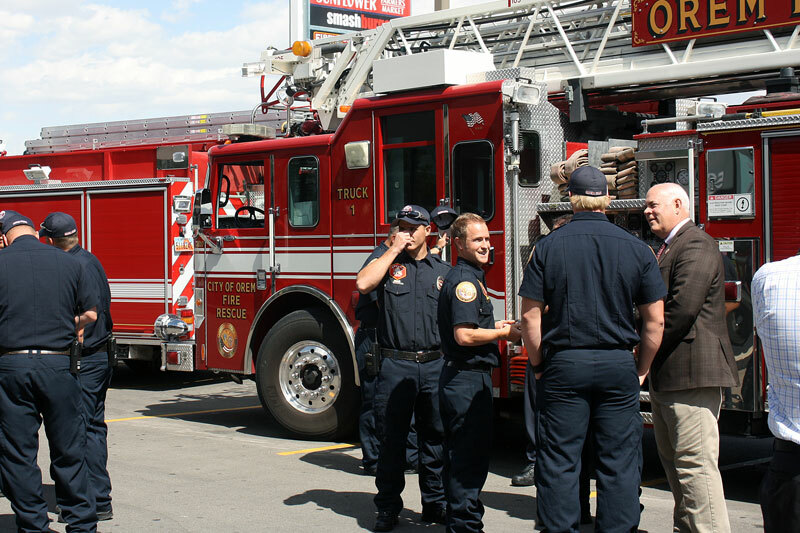 The Firehouse Subs Public Safety Foundation has given over $3.9 million to safety services across the country since it's beginning in 2005, and on Tuesday donated 82 Bowring tools (worth more than $7,400) to the Orem Fire Department. These sturdy, yet lightweight tools perform many different functions that are useful for firefighters, and can free up those firefighters from loads of heavy equipment. I was honored to be invited to this event and to learn about the great community work done by Firehouse Subs. To get involved, you can go to one of their restaurants and elect to donate your change easily at the register, make a donation, or purchase one of their recycled five-gallon pickle buckets for $2, with all proceeds going towards the local community. And now -- for the FOOD! 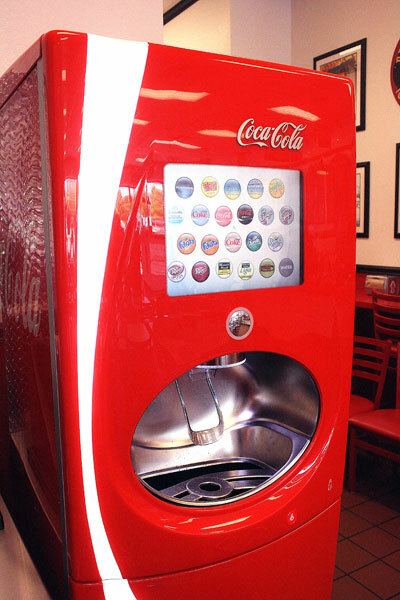 The first awesome thing of note at Firehouse Subs is their Coca-Cola Freestyle Soda Fountain. Now, I am not usually one to get soda, but this machine is incredibly awesome. It has a touch screen with a ton of different flavors and soda brands (over 120 the machine claims), and you can mix and match to your heart's desire! I opted for the cherry limeade, and added two fresh limes that they had next to the machine. 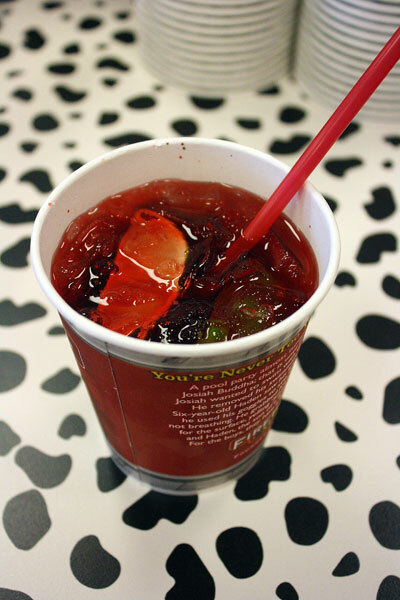 The cherry limeade was perfectly sweet, tart, and syrupy - delicious! They have a little guide next to the machine of how many limes you should add to each size of cherry limeade, but I think next time I would go for an extra! At this "Taste of Safety" event, we were treated with a couple of different sandwich samples from their hot specialty subs menu, in addition to some of their delicious fresh-baked cookies. They all looked so delicious - it was hard to choose! I've never seen an oatmeal raisin cookie look so appetizing, and the chocolate chip had huge chunks of tasty-looking chocolate. But I went with the one that looked like a white chocolate macadamia nut cookie. To my surprise, it was a lemon-flavored cookie! 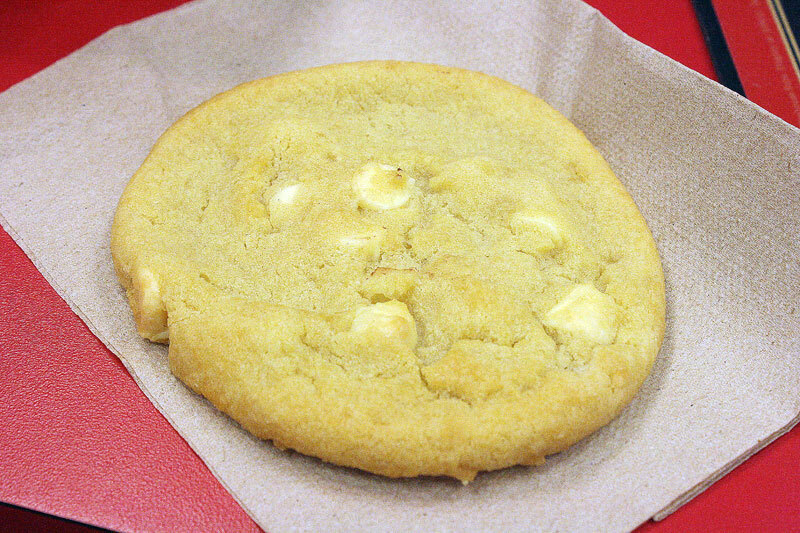 I was later informed that it is their Lemon Cooler cookie, which has a soft and zesty lemon dough with rich white chocolate chips. Amazing. Being the lemon fanatic that I am, I devoured this cookie and had to exercise great control to stop me from eating the whole cookie display! 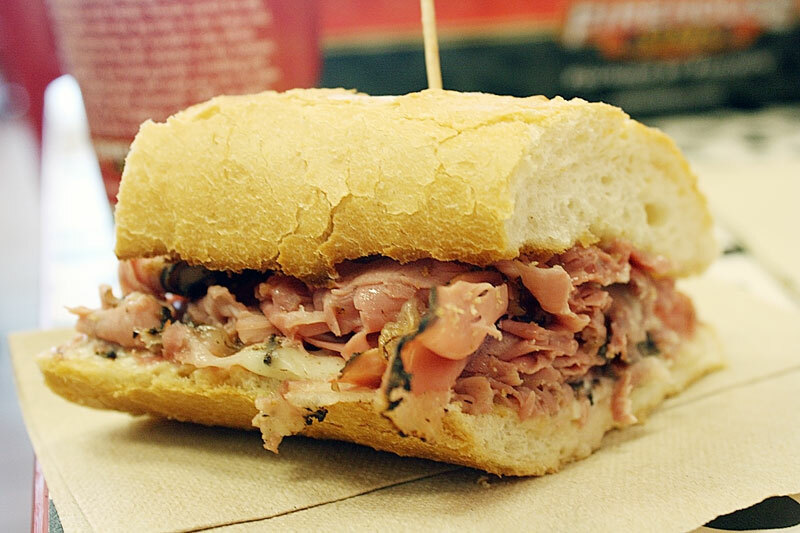 We tried the Firehouse "Hero" Sub, which contains premium roast beef, smoked turkey breast, Virginia honey ham, and melted provolone. An excellent mesh of meat that was savory and satisfying. Keep in mind that all of these photos are samples of a whole sub - this little bit was only one-fifth of the whole sandwich! These sandwiches are huge and filling, served hot and toasty! 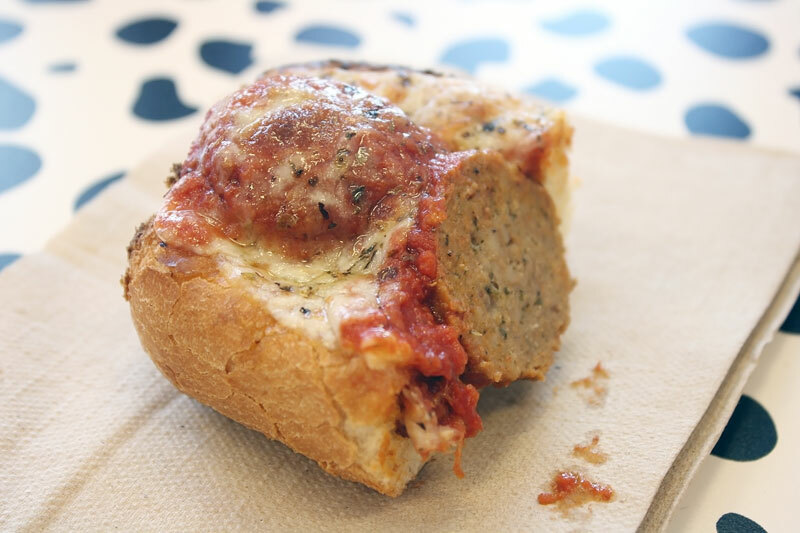 Up next was the meatball sub. Of all of the sandwiches, this one was probably my least favorite, but I think it is just because I'm not the hugest fan of meatballs. Like the others, it was served perfectly warm and crunchy, and the amount of substance within the sandwich was just right - full enough to feel like it's worth it, but not too much that you make a huge mess everywhere! 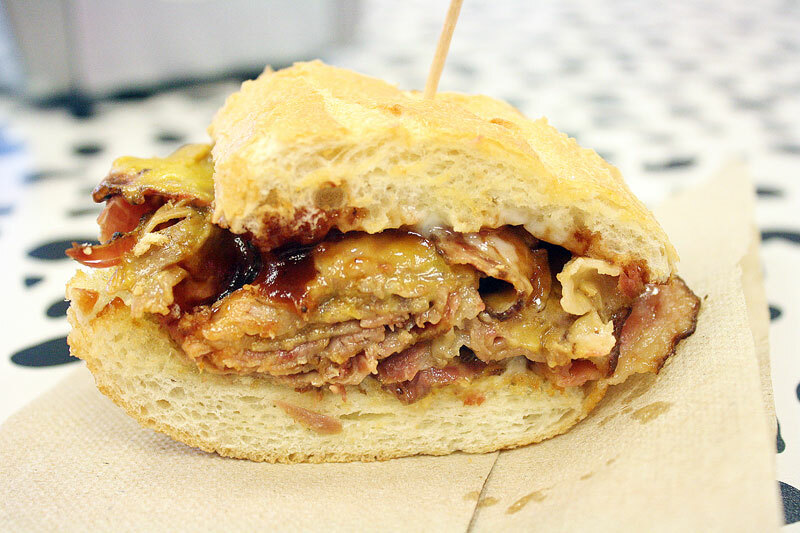 Finally, the beef brisket and cheddar sandwich. This sub was hands-down our absolute favorite. The soft and tender beef was so flavorful - the perfect hint of smokiness and saltiness. There was a heavenly mix of sauces and cheddar cheese melted onto the indulgent beef, all snug between two pieces of crackly white French bread. So unhealthy, but so SO SO good! What You Should Do: A great cause and great sandwiches? Count me in! 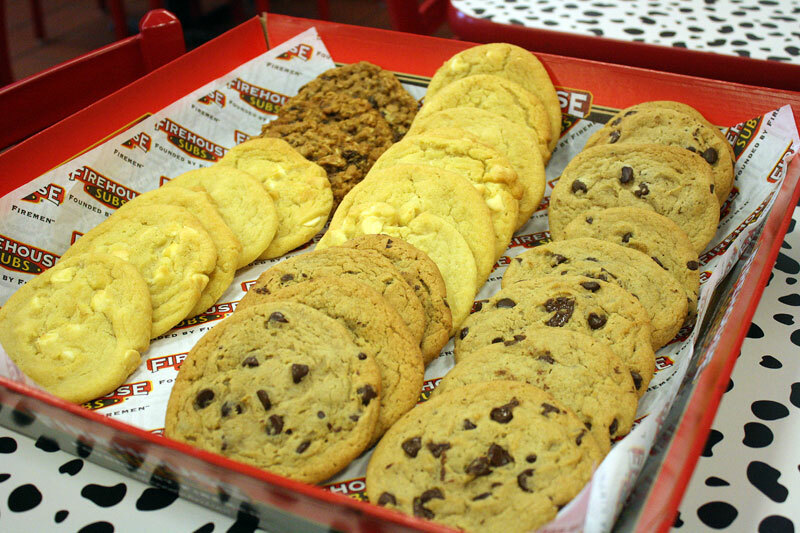 Skip the line and boringness of Subway, and grab yourself a similarly-priced but infinitely fresher and tastier sub here at Firehouse Subs. 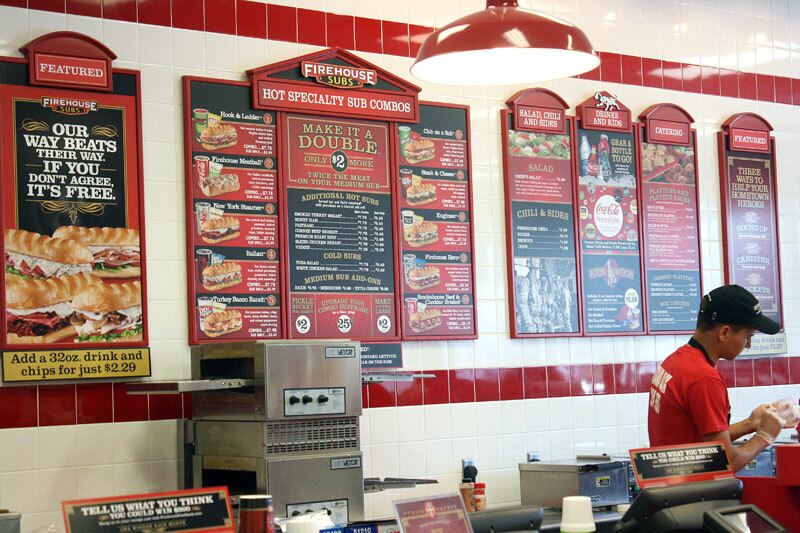 I would definitely recommend Firehouse Subs - even though I'm not a huge sandwich lover, they proved to have delicious combinations, great prices, and support the local community.